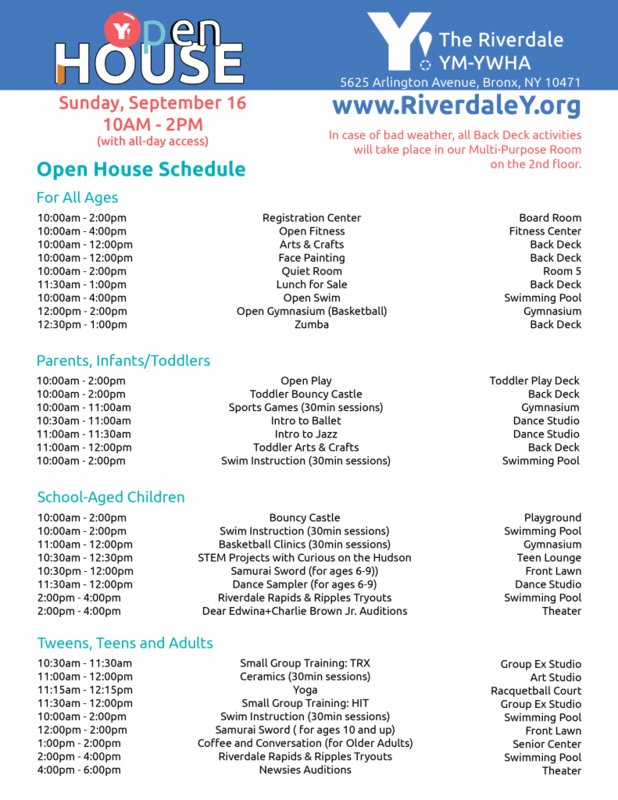 The Riverdale Y welcomes the entire community as we kick off our fall programs! We invite your family to enjoy our pool, gym, and fitness center for FREE. Bring your swim cap and towel. Try sample classes in Fitness, Swim, Sports, and Arts; and take advantage of ONE-DAY PROMOTIONS. We will have bouncy castle, face painting, STEM projects, arts & crafts, and much more!